What is developing in this time of crisis? "Business in Kaliningrad is therefore competent in customs administration and certification, and is flexible when it comes to adapting regulations to give foreign partners smoother access to the Russian inner market", says Anastasia Kuznetsova, Minister of Economics of Kaliningrad region. Despite the economic crisis, local agriculture and food processing are showing positive dynamics. Investments in this sector increased by 2.5 times in the past 8 months. Fishing industry and fish processing also came up with positive figures — the catch quota was up 70%, which helped substitute Norwegian imports. Domestic tourism is also on the rise. 90% of all tourists visiting Kaliningrad are Russian nationals. Why is the region favorable for both export-oriented businesses and companies focused on local consumption? “The local business culture is different to the rest of the country,” explains Anastasia Kuznetsova. “Due to the geographical position of the exclave, almost every company here is engaged in international trade. 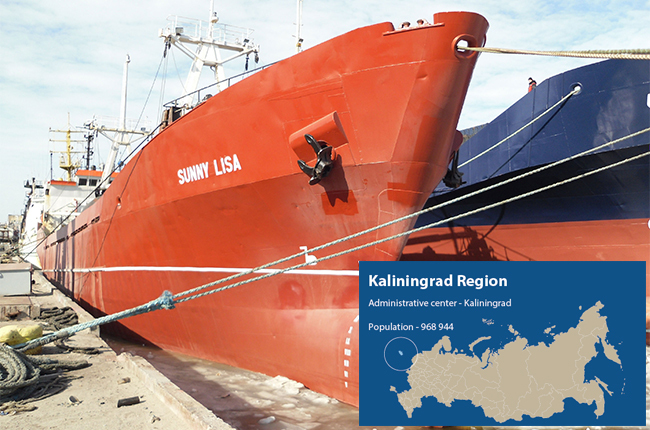 Due to its close ties with foreign trade missions, Kaliningrad Region is a perfect location for export-oriented joint ventures. Moreover, local businesses enjoy the benefits of being inside a special economic zone. This year saw the introduction of new preferences, such as reduced railway costs and subsidies for new jobs. All that helps businesses shorten the return on investment cycle," says the minister.